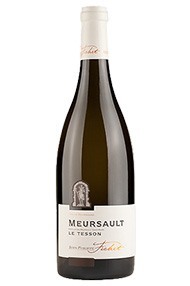 Tesson is a good candidate for Meursault’s finest specific lieu-dit. This wine shows a beautiful noble reduction, with dancing fruit behind, elegance and energy. 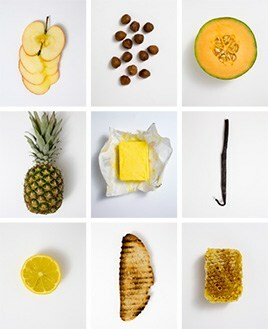 The palate displays yellow fruit at perfect ripeness yet with a magical excitement. Jean-Philippe Fichet is very excited with his 2013s, which he picked before the weekend of bad weather. He has also refined his techniques in the cellar, pressing the grapes for longer and settling out the juice less than before; both methods aimed at enhancing the vineyard character of each plot and making less ‘technical’ wines. A lovely range. 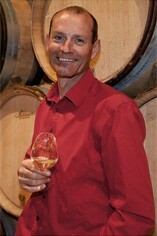 Jean-Philippe Fichet is a grower from Meursault who is driven by the desire to make great wines. From the second you enter his immaculate cave you know there will be serious wine to be found. The spotless converted barn close by l'Hôpital in Meursault is airconditioned and provides a welcome relief from his scattered and cramped conditions of a few years ago. Jean-Philippe's father bottled a few wines himself but mostly sold in bulk. The Bourgogne Blanc, Meursault Criots, Gruyaches and Puligny Montrachet Referts come from him. The other wines are on share-cropping agreements with various owners. Fichet’s big step forward came in 2000 when he moved the whole operation to splendid cellars at ‘Le Creux du Coche’ by the Hôpital de Meursault where he has been able to oversee all aspects of vinification and maturation with much greater efficiency. He has a negociant’s licence to enable him to buy the owners part of the wines he makes under the share-cropping system, as well as his brother’s and sister’s vines. Jean-Philippe is looking for purity in his wines. He uses whole bunches when the grapes are fully ripe, but crushes some in less ripe years before pressing. The juice is left to settle for 12 hours and the fine lees are retained. They may occasionally be stirred but as gently as possible. The lesser wines are raised in demi-muids for the first year, then assembled in tank. The single vineyard wines receive 18 months in barrels which range from new to 6 years old with a maximum of 30% new barrels on any cuvée. He deals mostly with lieux-dits in Meursault with just one 1er Cru in Puligny. Constantly experimenting and refining, his wines have real definition and individuality,with the individual terroirs clearly exposed. Les Chevalières is the most mineral and austere of his wines and rewards keeping for between 5-10 years. Though this is essentially a white wine domaine there are also red wines from the appellations Bourgogne Rouge, Côte de Beaune Villages and Monthélie. There are more top producers in Meursault than in any other commune of the Côte d’Or. Certainly it is the most famous and popular of the great white appellations. Its wines are typically rich and savoury with nutty, honeyed hints and buttery, vanilla spice from the oak. Even though it is considerably larger than its southerly neighbours Chassagne and Puligny, Meursault contains no Grands Crus. Its three best Premiers Crus, however – Les Perrières, Les Genevrières and Les Charmes – produce some of the region’s greatest whites: they are full, round and powerful, and age very well. Les Perrières in particular can produce wines of Grand Cru quality, a fact that is often reflected in its price. Meursault has also been one of the driving forces of biodynamic viticulture in the region, as pioneered by Lafon and Leflaive. Many of the vineyards below Premier Cru, known as ‘village’ wines, are also well worth looking at. The growers vinify their different vineyard holdings separately, which rarely happens in Puligny or Chassagne. Such wines can be labelled with the ‘lieu-dit’ vineyard alongside (although in smaller type to) the Meursault name. Premier Cru Meursault should be enjoyed from five to 15 years of age, although top examples can last even longer. Village wines, meanwhile, are normally at their best from three to 10 years. Very occasionally, red Meursault is produced with some fine, firm results. The best red Pinot Noir terroir, Les Santenots, is afforded the courtesy title of Volnay Santenots, even though it is actually in Meursault.